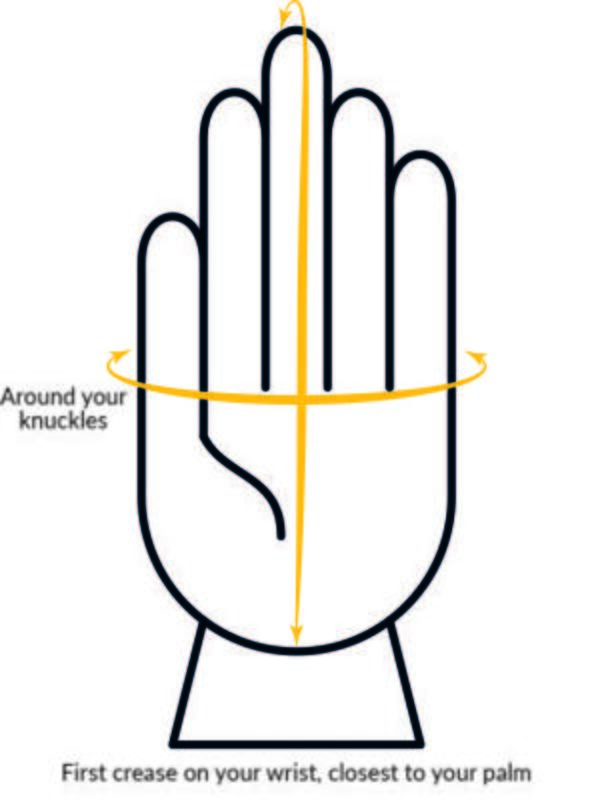 To find your Bionic glove size, measure (in inches) around your glove hand (dominant hand when ordering pairs) with a tape measure at the points indicated on the diagram below. 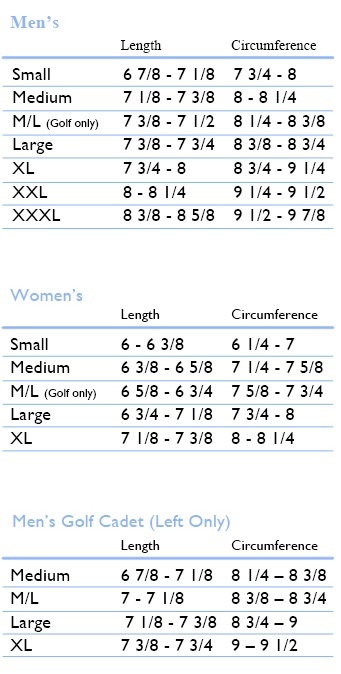 Now that you found your tape measurements, use the table to the right to determine your glove size. If your hand's circumference is larger than the length, order a size up to ensure a better fit. If you need additional assistance on glove sizing, feel free to reach out to us. We can be called at (877) 524-6642 or emailed at bionic@bionicgloves.com to answer any questions. **Cadet Men's Golf Glove sizing is available in left-hand only in the following sizes: Medium, Medium/Large, Large, and XL.